The movie “Mariachi Gringo” opened the 7th Hola Mexico Film Festival in Sydney on Thursday evening. Following the screening, guests got into the spirit of Mariachi at a Mexican themed party, where copious quantities of Sol Beer, advertised as the spirit of Mexico since 1899, flowed. My favourite drinks were the tequila margaritas, what better way to celebrate all things Mexican than with tequila. As the platters of tasty Mexican food were being served, a Mariachi band struck up echoing the sounds of music similar to that heard in the movie earlier in the evening. The band members were resplendent in black suits adorned with silver and also wore the large hats Mexico is famous for. After listening to this fabulous band I could totally relate to the movie’s main character’s desire to live in Mexico and join a mariachi band. 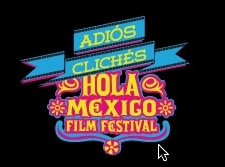 The Hola Mexico Film Festival runs in Sydney until 4 November, 2012. Sandra T.
You are currently browsing the SANDRATBLOG.COM blog archives for October, 2012.